The Canada India Foundation hosted its first annual gala dinner in Toronto Canada on April 18, 2008. The dinner honoured Sam Pitroda as the recipient of the Canada India Foundation Chanchlani Global Indian Award. 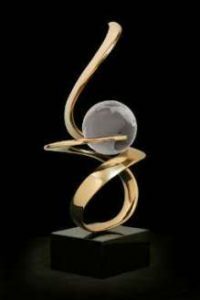 This award will be presented annually to an outstanding Indian who has demonstrated global leadership, vision, and personal excellence, which has made all of us of Indian origin extremely proud of our heritage. His Excellency, Dr. Abdul Kalam, (President of India from July 25, 2002 to July 25, 2007) was our guest of honour. CIF is pleased to announce The Right Honourable Stephen Harper, Prime Minister of Canada delivered the keynote address. Prime Minister Harper and Dr. Kalam joined CIF in presenting the first “CIF Chanchlani Global Indian Award” to Mr. Sam Pitroda, along with a prize of $50,000 to be directed to charity. Mr. Pitroda was selected as the recipient of the “Global Indian Award” for his role as Chairman of the Knowledge Commission in India, his innovations as the holder of over 100 patents, and for his immense contribution to revolutionizing India’s telecommunications industry. Canada India Foundation also invited Ontario Premier Dalton McGuinty to join over 400 leaders from the Indo-Canadian community as we celebrated excellence and acknowledged our community’s success. The dinner was co-chaired by Ramesh Chotai, President of Bromed Pharaceuticals, Anil Shah, President and CEO of Ni-Met Resources and David Singh, Chairman and CEO of Destiny Group of Companies. 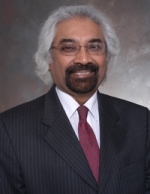 Sam Pitroda is an internationally respected development thinker, telecom inventor and entrepreneur who has spent 40 years in Information and Communications Technology and related human and national developments. His experiences include private and public sectors and governments around the world. Credited with having laid the foundation for and ushered India’s technology and telecommunications revolution in the 1980s, Mr. Pitroda has been a leading campaigner to help bridge the digital divide. During his tenure as Advisor to Prime Minister Rajiv Gandhi in the 1980s, Mr. Pitroda headed six technology missions related to telecommunications, water, literacy, immunization, Dairy and oilseeds. He was also the founder and first chairman of India’s Telecom Commission. He was also chairman of India’s National Knowledge Commission reporting to the Prime Minister. The commission’s mandate is to offer a series of recommendations to the government on access, concepts, creation, application and services related to knowledge to help build excellence in the education system to meet the challenges of the 21st century and increase India’s competitive advantage. He owns close to a 100 patents. He is widely regarded as one of the earliest pioneers of handheld computing because of his invention of the Electronic Diary in 1975. He was also among the pioneers in digital telephone switching technology in the late 1970s and early 1980s. The decade of 1990 saw Pitroda explore the world of mobile phone-based transaction technology and telecom developments in emerging markets. A widely travelled man, Pitroda is a much sought-after speaker at top international events. He has had speaking engagements around the world on diverse themes. Pitroda divides time between Chicago and New Delhi.